If you are looking for an unique gift for Valentine’s Day, here is one idea for you. 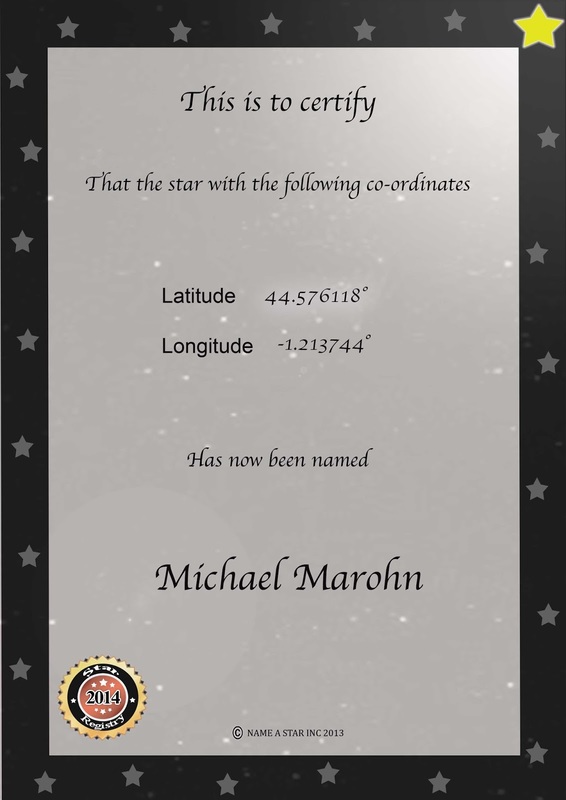 You could have a star named after the one you love! I decided to do this for my hubby for our anniversary that’s coming up. It was really easy to do too. 2. Click on the right hand side where it says buy now. 3. Scroll down that page until you find the graphic that says “buy now”. 4. Enter your info, recipient’s name, and message. 5. Once you make your payment, you should receive your certificate via email within 48 hours. Once you receive your email with your certificate, it can get a little tricky. 3. Once you click on that, you will be taken to DropBox (which is not bad to have BTW), where you can download the file to find your star. I was kind of leery of this at first. I wasn’t sure about it since it was taking me to another site to download a file (even though I trust dropbox, anything could have been put into there). So I had my hubby check it out (he is a Certified Linux Administrator). He says that it is fine, but remind everyone to make sure you trust sites that you are downloading from, and to have a GOOD Anti Virus that is up to date, installed, and running. 5.Then you go through the list of stars and double click on it and it takes you to it. You can see our star is pinned with my husband’s name and the message I had for him over to the left. I am really pleased with how everything looks, and at $12.99, I think it is a great gift for anyone who loves to look at the stars. The great people over at Name A Star are also letting me give one to a very lucky reader. To enter to win, use the Giveaway Tools widget below. You can enter anytime until 2/12/2014 at 11:59pm.